received more than 25 completed applications from major donors, prestigious alumni, corporate executives and professionals in many different fields. Three of the University’s Board of Trustees are up for re-election in April/May 2012. David Jones, retired New York Times Assistant Managing Editor, has said that he will not seek to retain his seat. Neither will Dr. David Joyner, who recently stepped down to assume responsibilities as the University’s interim Athletic Director. Anne Riley, a teacher from Centre County, and former president of the Penn State Alumni Association, holds the third seat and has not yet decided on her re-election plans. “At this moment we, the alumni, have the power to vote out the alumni-elected members of the Board of Trustees,” explained Murosky, “and to vote in those with honorable leadership qualities who may restore the glory of Penn State.” Murosky emphasized that alumni wishing to participate in the Board of Trustees voting process have only until January 15 to request their ballots. They must go to http://psutrustees.org/ to register for a ballot. PS4RS will announce its top five candidate applicants to its membership on January 15. Members will be able to review those applications and letters of reference at that time, and will use an online voting tool to cast their votes in determining the top three candidates PS4RS will take to the nomination slate. On February 8, PS4RS will announce via press release the three candidates it will support in the 2012 Board of Trustees election. Murosky requests that Penn State alumni wait to complete their nominating ballots in order to consider the PS4RS candidates among their voting options. through the Alumni Association website. 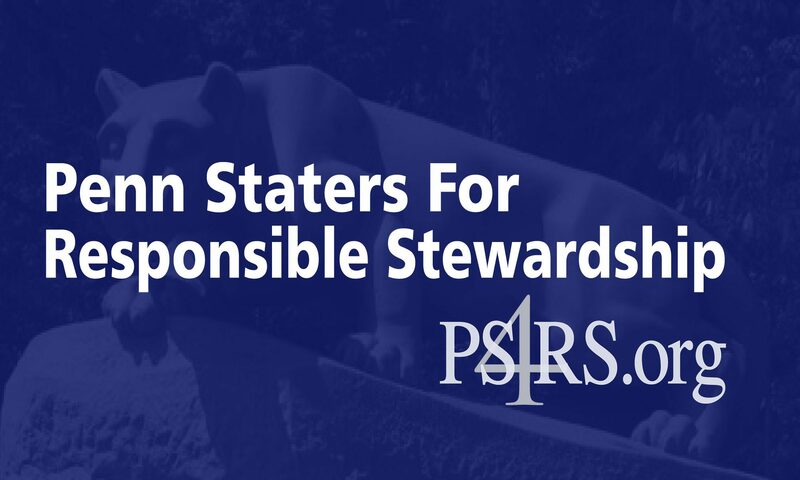 For further information on how to obtain a ballot for the upcoming Pennsylvania State University Board of Trustees election, or to learn more about Penn Staters for Responsible Stewardship, please visit PS4RS.ORG, email ps4rsinfo@gmail.com, or search “WE intend to vote out the Penn State Board of Trustees” on Facebook.